Dorothy was ready to put up her beautiful home in El Dorado Hills for sale. She wanted to improve her curb appeal before selling to make it more marketable. 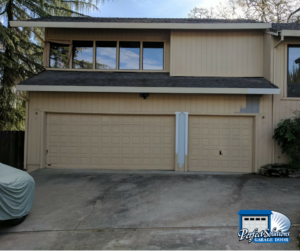 This includes switching out the garage doors, upgrading the garage door openers, and painting her house. The garage doors was old wood doors that were 30+ years old. 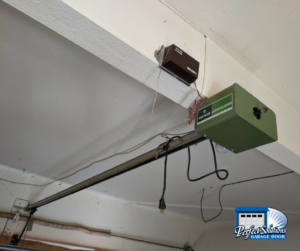 Her garage door openers as well were 30 years old. Note here that any openers made before 1993 don’t come with an auto reverse feature. 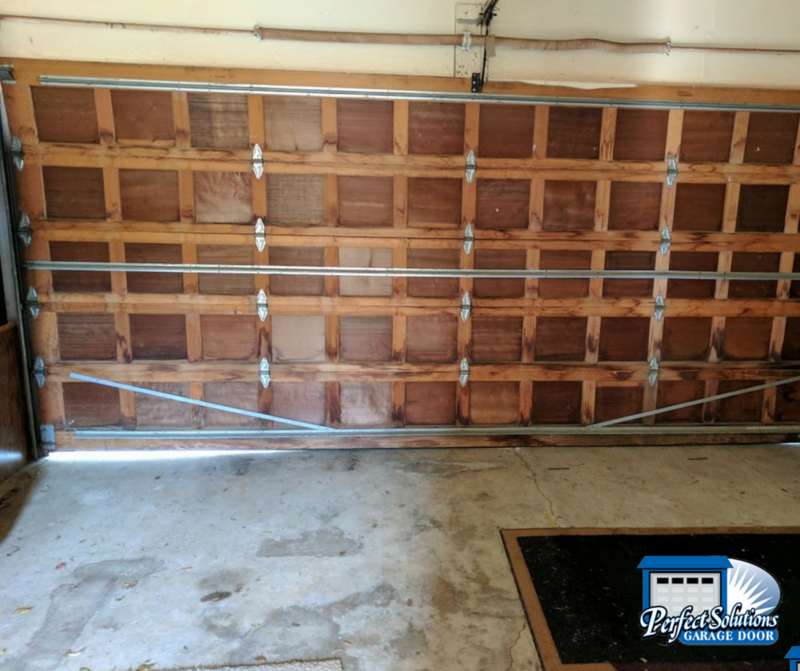 This important safety feature is crucial for garage door safety, and having it will help sell your home. Auto reverse means probably what you think – that the door will automatically reserve. This happens if there is something in the way of the sensors. You should test that your garage doors do this, regardless of whether you are selling your home. 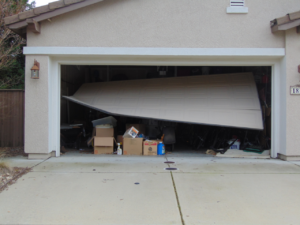 Whether you are or aren’t, you can test by simply taking a rolled up newspaper and putting it in the path of the garage door. Now close the garage door. If the door automatically reverses upon sensing the newspaper, you’re good! If it doesn’t, call a professional! When looking at different garage door options and what would make the most sense, Dorothy’s only requirements were doors that would compliment the style of her house, and that were durable. 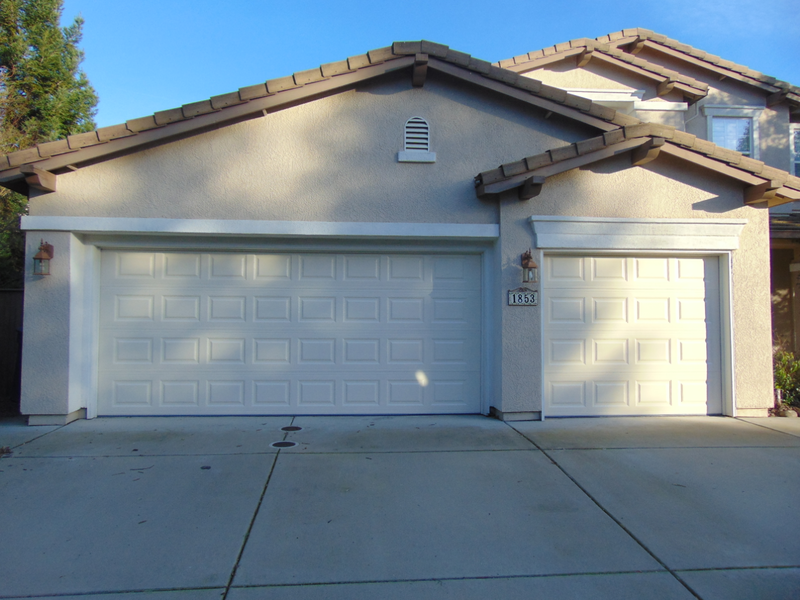 Besides style, nothing else much mattered, as she was planning on painting her home, including her garage doors. 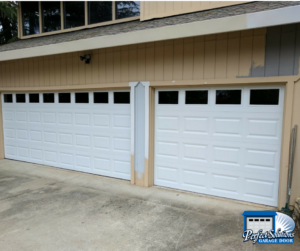 Dorothy ended up choosing Clopay garage doors, their T52 model. 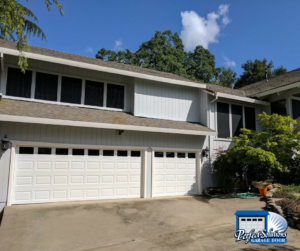 We added plain windows, which were a nice compliment to the large windows she has throughout her home. 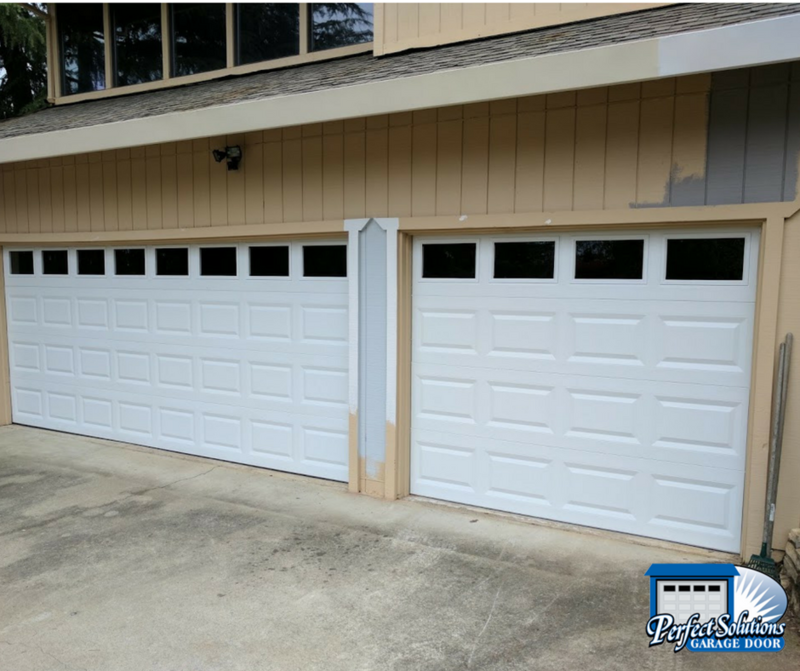 Dorothy needed 2 garage doors: 1 two car garage door and 1 one car garage door. They look great, especially with the windows! As for the garage door openers, she went with the 8065 LiftMaster 1/2HP chain drive openers. This is very durable, and very affordable! Ready to be put on the market and photographed!